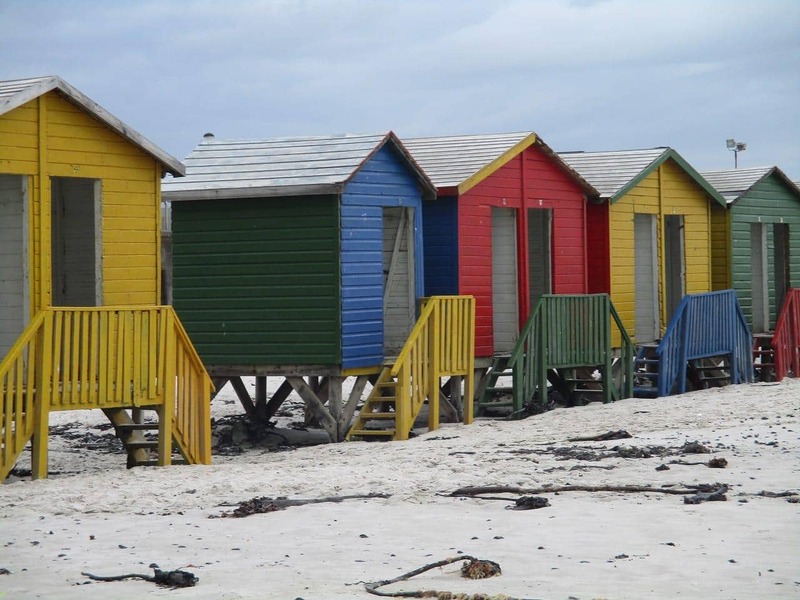 Whether they are called beach huts, beach boxes, bathing boxes or even beach houses, there is never any doubt, when mentioned alongside Muizenberg, that people are referring to the stretch of colourful beach huts on Muizenberg beach. The bathing box is a throw-back to the “bathing machine” of the 1800’s—a cart-like structure that was wheeled down to the water’s edge, allowing the ladies to change into their chin-to-ankle bathing wear and frolic modestly in the shallows. There are two rows of beach huts along the shoreline. One row opposite the children’s play-park at Surfer’s Corner and the other closer to the elevated walkway that runs adjacent to the Putt-Putt. The soft white sands behind the boxes offer some shelter from the wind in the height of summer and this part of the beach is manned by lifesavers in season, forming part of the Blue Flag section of Muizenberg beach. In the past, this section behind the boxes got very crowded and was known as the “snake pit”. Some huts, in recent years, fell into disrepair and with the threat of removal of the huts as recently as 2017, there was a huge public outcry. The plight of the beach hut is close to the heart of every “Muizenberger” and together with the mountain, surfing and beach walks makes up the locals’ love and passion for this much loved attraction. 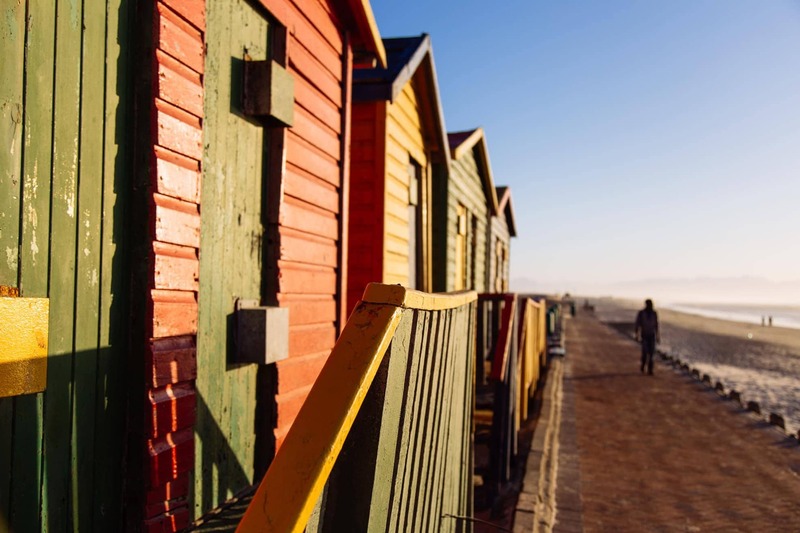 Bright, vibrant and very photogenic, the Muizenberg beach huts continue to be an instagrammer’s delight and a perfect backdrop and location for film and commercial shoots. The beach with its huts is a perfect setting for safe swimming, family outings, learning to surf, sun-bathing and ice-cream eating. The brightly coloured beach huts are here to stay—Muizenberg would not be Muizenberg without them.